The temperatures are in the nineties. Sunshine fills the crevices in the piazza and it is difficult to remember that four of our five weeks in Europe were cold, windy, and most of rainy. June of 2013 brought record flooding to areas of Austria, Germany, Hungary, and the Czech Republic. We spent our first day in Germany visiting a tenth century Monastery. The cavernous rooms weren’t suited to warmth. Umbrellas went up and down as we paraded in subsequent days through churches, synagogues, castles, and shopping areas. On one of the few pleasant respites we had during this time, our host in the Rheingau invited us to a favorite place along the river to sip wine and watch the recently born goslings. 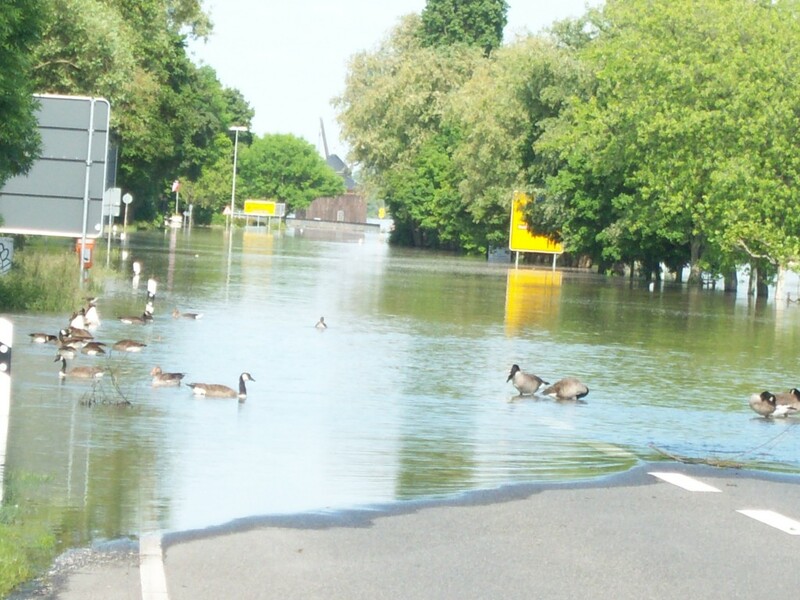 When we returned to this same area two weeks later, the geese had taken residence across the street, daring vehicles to cross through the water soaked highways. 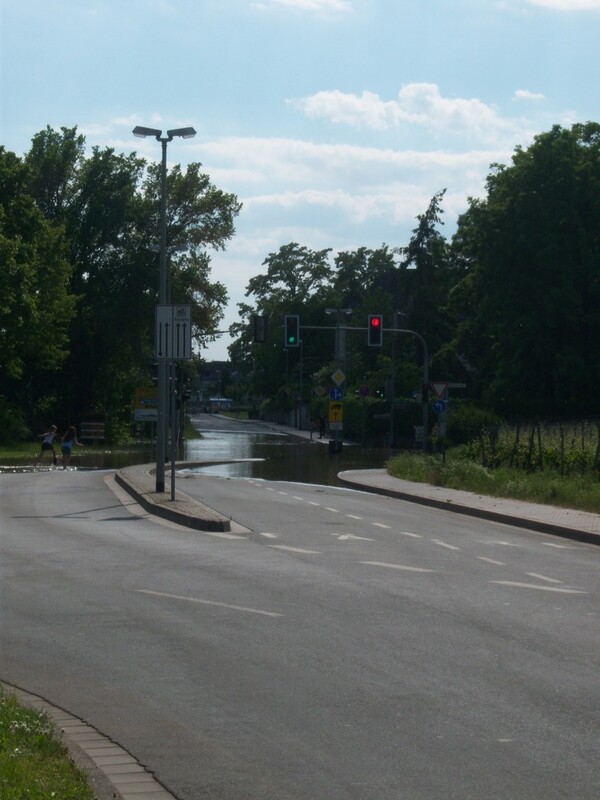 The following photos show some of the effects of the unprecedented precipitation. 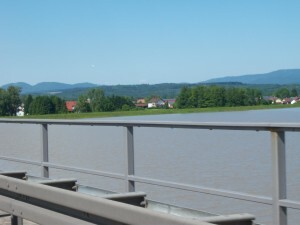 I took a risk with this part of the vacation and exchanged a timeshare week for one in Keszthenly, Hungary. 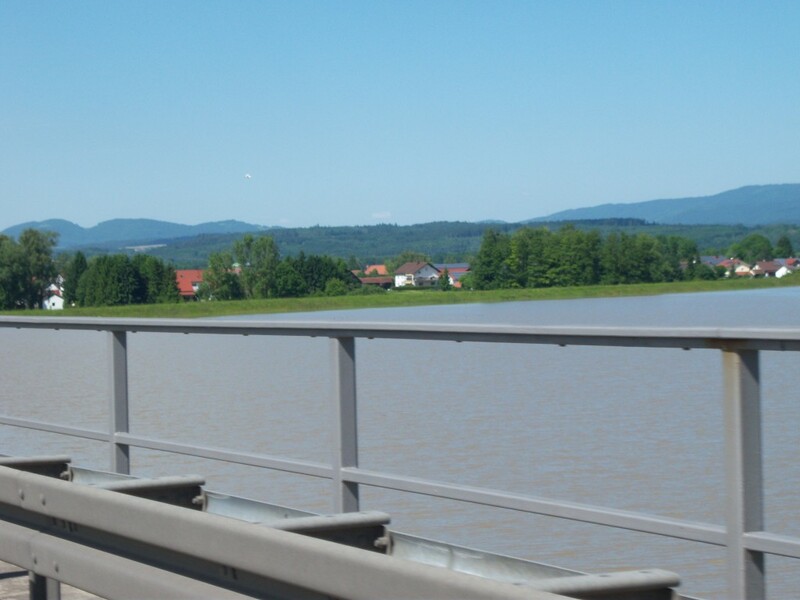 The “resort” was advertised to be close to Lake Balaton so I assumed (which is not a good way to process information) that is was a lakeside resort. It was also advertised as a one-bedroom unit with privacy for four. Upon entering the unit, I thought I had stepped back in time to the early 1950s, when the country was part of the Soviet Union. Gray-green paint with plain and dated furnishings served as our living quarters. The bedroom was situated so that we had to go through the living room to get to it; meaning the couple in the living room definitely did not have privacy. The lake was several miles away. The lovely restaurant advertised as a way to “relax after a day of site seeing” was extremely cheap but you get what you pay for. Everyone’s meal but mine was a heated up frozen dinner. I got lucky because I ordered a salad. 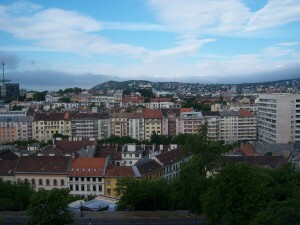 It was decided that a week there was no holiday, so we checked out the next morning and headed for Budapest. The hotel I chose was located in the “Castle district,” a very apt description and came a grand view of the Danube River. 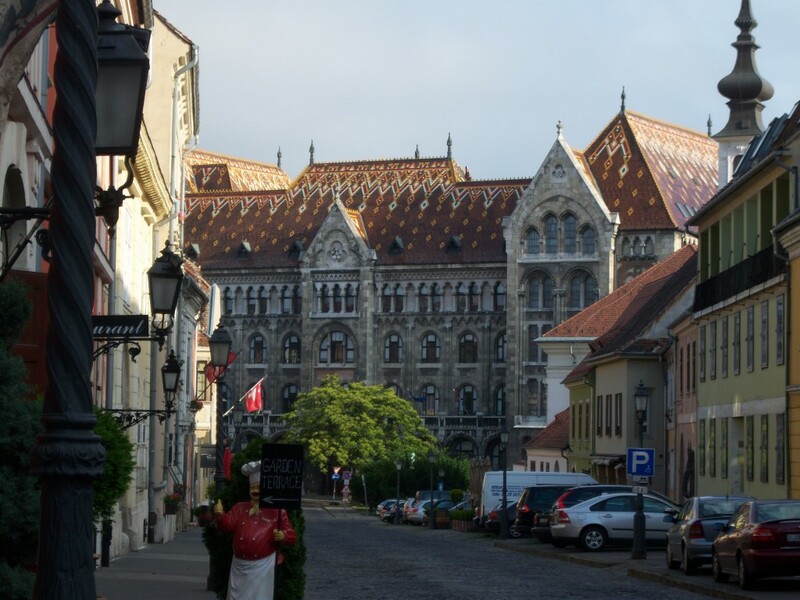 Hungary is in a state of transition and has some very beautiful buildings. Sometimes these structures are next to some very plain or downright ugly structures but it seems the people are trying to remedy that situation. Except for two desk clerks, ALL of the people we encountered everywhere in Hungary were friendly and willing to do whatever they could to help us, despite challenging language barriers. 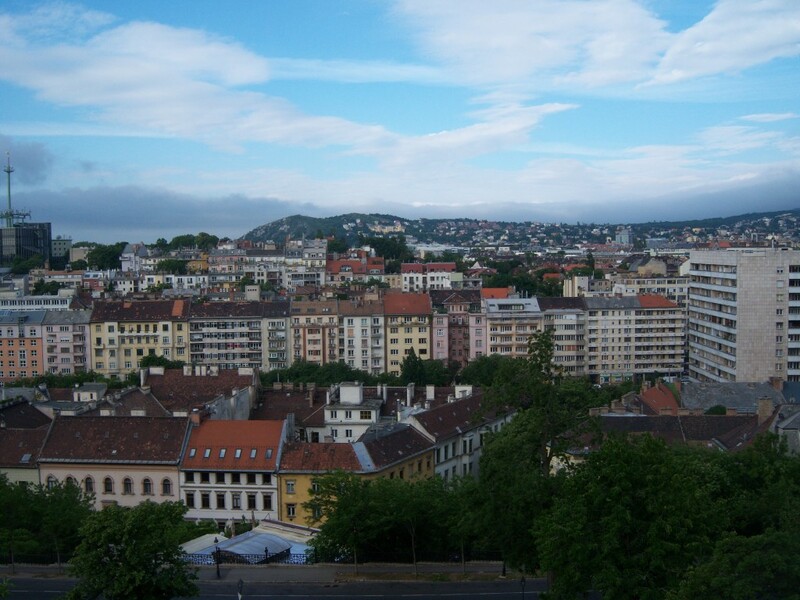 There is a saying, “All roads in Hungary lead to Budapest,” and I think that is accurate. There do not seem to be multiple large towns to explore unless you are more adventuresome than me. 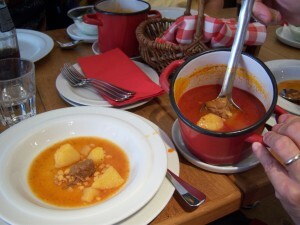 We had an absolutely wonderful meal of goulash soup and cucumber salad with an assortment of local desserts. 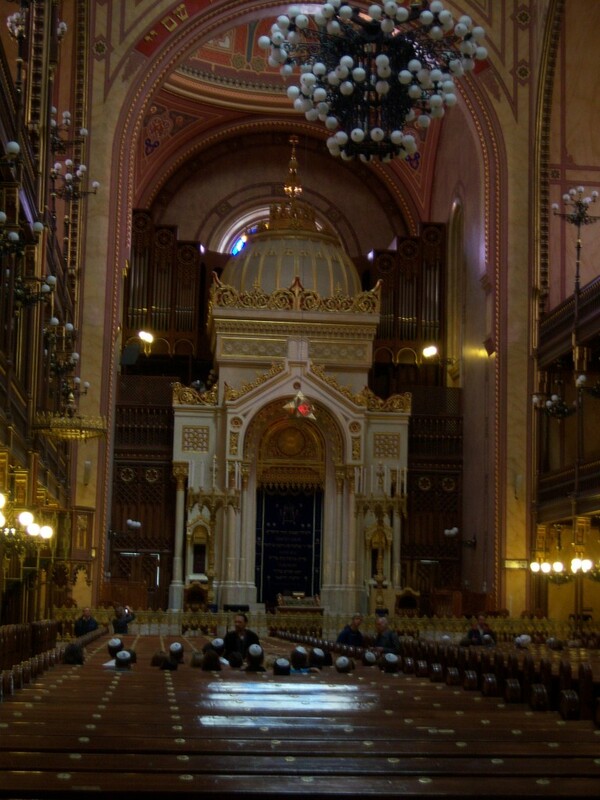 A tour of the Great Synagogue was my first time in an actual Jewish place of worship. The guide carefully explained aspects of Judaism worship as well as the history of the area. The synagogue was part of the Budapest Ghetto during the war. In fact 10,000 people died here from disease and living conditions. They are buried next to the place of worship, which is uncommon in the Jewish faith. Hungary is part of the European Union but has not converted to the Euro. They will take Euros in many places but you will probably get change in Forints, their country currency. Forints are most often expressed in forms of 1000 so at first the prices seem to very expensive until you realize that 220 Forints equal about $1.00. Another lesson learned was that Hungary and Austria have a different way to collect highway tolls. You must purchase a “Vignette” before traveling on any of their major roads. In Austria this was a sticker and in Hungary, they registered your license plate online. Failure to do this will result in a large fine. Failure to put enough money into a parking meter will earn a traffic ticket. Not understanding how close we were to our car, a decision was made to take a chance and not go back to the car to put in more Forints. Unfortunately Mike arrived to see a ticket stuck to the windshield wipers. He inquired at a local bakery and learned that you can pay the fine at a post office. Wanting to get out of the busy rush hour traffic, we waited to pay it in a small town post office. We encountered no problems and paid about $28.00. One more lesson learned. Because I am a bit picky, this place would have been more enjoyable had I done a little research because the positives definitely outweighed the negatives. Hungary and Hungarians are lovely!